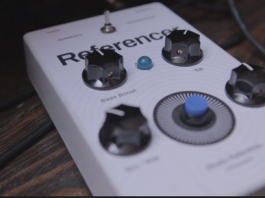 The WA-12 is a mainstay at Everything Recording HQ (review of MkI HERE and HERE). 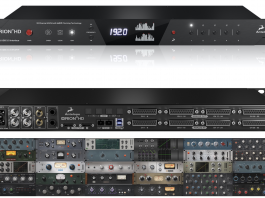 Why own one when you can own 4 in a 1u rack? 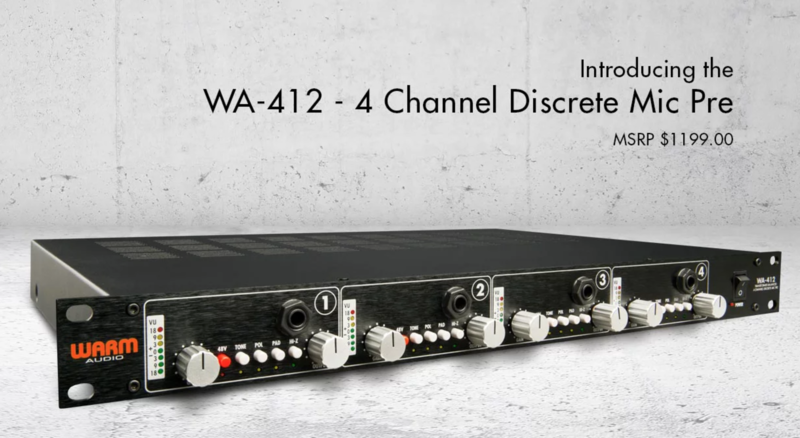 The WA-412 provides 4 channels of classic American console preamps in a sleek 1RU design. This style of preamp is often referred to as “the sound of Rock n’ Roll” for its BIG punchy low end and smooth open top end. The price/performance ratio of the WA-412 is almost unfathomable to the experienced studio engineer who has possibly paid much more for preamps of this style during their career. Featuring fully discrete socketed 6-pin opamps and custom wound Altran USA input and output transformers, the WA-412 leaves nothing to be desired. If you are looking for multiple channels of world class tone in an affordable package, the WA-412 might be the right choice for you. 4 Channel Microphone Preamplifer + Instrument DI. All channels utilize custom wound, premium input and output transformers made by Altran USA. X520 discrete op-amp in every channel, socketed for convenience. Can be user replaced with most 6 pin,discrete op- amps. 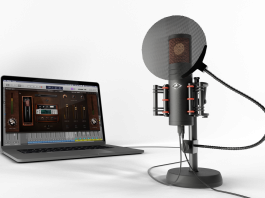 Inputs – Microphone XLR & Active Instrument DI. 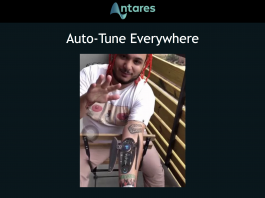 Outputs – Transformer balanced XLR & TRS. 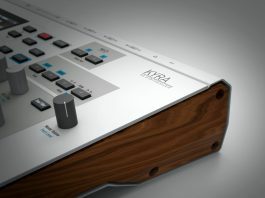 TONE button – Input impedance switches from 600 ohms to 150 ohms (changes the tone of bothn the mic and DI inputs). 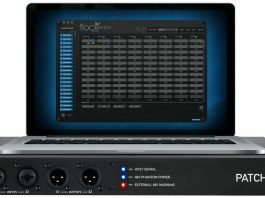 -20db pad – pads both mic and instrument DI inputs. Output trim knob for precise level control and tone sculpting possibilities. Internal power supply (grounded, 3 pin IEC cord).